The first of our foals was born on 14 September – a lovely filly from Kym’s 3-win trotting mare Toggle. 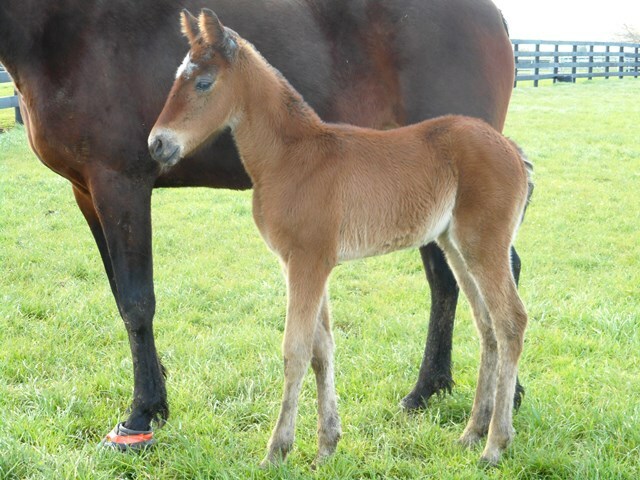 Toggle is a half-sister to Sun Isa and at 9 years old this is her first foal, by Majestic Son. Photo taken when she is three weeks old. She carries an unusual 6 x 4 cross to the sister and brother Baynie and Ayres, both by Star’s Pride from the great mare Arpege.